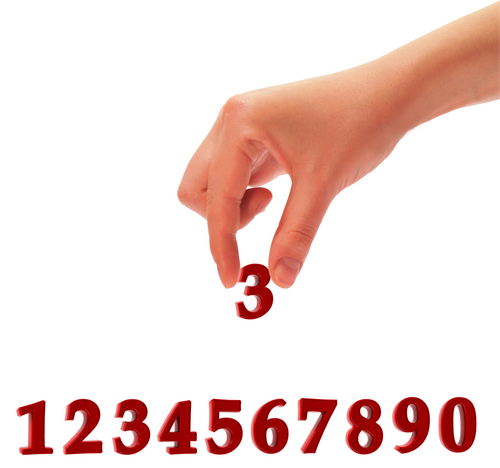 Many speakers have learned about the "rule of three" involved in message development, the idea that three key points are easier for the speaker --and the audience--to remember. It's a great organizing principle that allows you, with practice, to speak without notes, and to structure your talk, your slides and your performance. But how do you put the public speaking rule of three it into action? Whether you're using the rule of three for the first time or trying to perfect the form, seeing a good example of a speaker in action using this principle can help you make the leap to using it yourself. She sets up the three points briefly, and cogently: Just rattling off your three points isn't enough. You need to give us context for them, and a point of view--briefly. Gates takes just two paragraphs of her speech to set up her three points, and she uses them to share the broad sweep of her work in developing countries, the ubiquity of Coke in those locations, and why Coke inspired her to take a look at the connection between the two. By the time she lays out the three points, we're focused where she wants us to be focused--even though the concept is, at first hearing, improbable. She gives us the three points, together, early in the talk as an outline for what's to come--then launches right in: After she sets the context, Gates says, "And I think there are really three things we can take away from Coca-Cola. They take real-time data and immediately feed it back into the product. They tap into local entrepreneurial talent, and they do incredible marketing. So let's start with the data." It's clear, crisp and cogent--a businesslike steering of the audience from big-picture concept to concrete points. Then she launches right in to point number one. She helps you follow along by sharing the conclusion up front, working her outline and tying the three points together. Instead of holding it back, Gates puts her conclusion right up front, telling you that nonprofits can learn from Coca-Cola's approaches to do their work more effectively. That lets her audience keep the end goal firmly in mind as she's speaking--it's a beacon to guide them. (Read Olivia Mitchell's useful and excellent post on why you should put your conclusion up front in any presentation.) Then Gates works her three-point outline, saying, "The second reason...." as a signal to the audience that she's moving through the outline she gave them. Finally, Gates uses polio and a specific story about an 18-month-old boy to demonstrate how putting all three of the Coke lessons into practice can have a real impact on her foundation's goal in this area. Again, she tells us first that she's going to show us what happens when all three factors come into play together.